Why should I read Bluedaze? Reading Bluedaze has been found to increase IQs by 10-20 points. Don’t you feel smarter already? How did this website get started? I wanted to be a Barnett Shale Millionaire. After doing my research on drilling and fracking, horrors unfolded. I started noticing what was happening all around me and writing about it. I took pictures and video. Eventually the people whose water wells are now poisoned, the ones who are sick and dying as a result and the near impossibility of holding those responsible accountable found me. So did the surface owners whose land is severely damaged, poisoned or left unusable and who are powerless against the deep pockets of oil and gas. They started asking me to tell their stories. I started this website to do my part to make a difference. Are you a mineral owner? As natural gas is produced from the Barnett Shale, will there be subsidence on the surface? 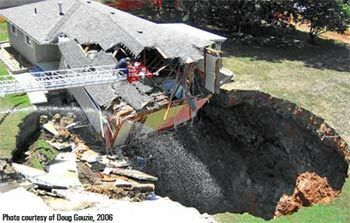 Will sinkholes form or my foundation crack? Subsidence can occur when hydrocarbons are produced or when large volumes of groundwater are removed. No one knows for sure how much water industry is removing from our aquifers but we are learning more about it every day and it’s a lot more than what industry tells us. North Texas has experienced drilling induced seismic events, which contribute to subsidence and foundation cracks. For more information see the posts in the subsidence category. And while you’re at it, look up sinkholes. That’s where the ground opens up and you fall in. =) Pleasant dreams. Update: It’s already happened. There’s a sinkhole in Fort Worth. Does natural gas drilling cause earthquakes? USGS confirms Oklahoma 5.7 frackquake was manmade. Drilling can and has caused earthquakes. It’s just common sense. Fracking and Quaking: They’re Linked. And scientists, the military, and frackers themselves have known it for years. An industry study admits that drilling can cause earthquakes. Seismicity in the Oil Field. The British Geological Society confirms their earthquake was caused by fracking. Natural gas extraction causes quakes in the Netherlands despite a consensus that fracking is causing the quakes, they can’t stop fracking because they have export contracts. A new study in the journal Geology is the latest to tie a string of unusual earthquakes, in this case, in central Oklahoma, to the injection of wastewater deep underground. Without fracking there would be no need for the massive amounts of wastewater injection. Minor shakes in drilling areas might be warnings of bigger shakes to come. If you want to read more about drilling, fracking and earthquakes I have lots of posts under the Earthquake category. You should take pictures of your foundation and walls and document the condition on a regular basis. I’ve heard that horizontal drilling used in Barnett Shale wells is a fairly new technology. Is horizontal drilling still experimental? Let’s be sure we are using the correct terms: Horizontal drilling has been around since 1929 but the latest advances in horizontal drilling used to extract shale gas are new. High-volume hydraulic fracturing of horizontal wells is a very new technology that was developed in the Barnett Shale in the late 1990’s. (They were contaminating water with this practice even way back then.) According to Congressional testimony, the two technologies, horizontal drilling and hydraulic fracturing, were “married” in 2002. So it is still in the experimental stages. 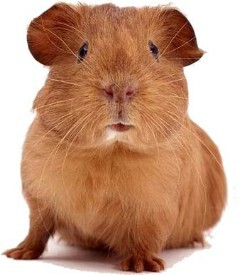 Does that make you feel like this little guy? Just be sure you don’t get horizontal hydraulic fracturing confused with vertical hydraulic fracturing which has been used for about sixty years. Vertical hydraulic fracturing is a completely different animal from horizontal hydraulic fracturing. What percentage of land in the defined drill area has to be under lease before drilling can begin? Why don’t trucks that carry drilling waste that has been used in drilling have “TOXIC” signs on them to warn people if there is an accident? The oil and gas industry has loopholes in our environmental laws so they don’t have to call drilling waste toxic even though it is potentially toxic. The looph.ole that allows this is in the Resource Conservation and Recovery Act – RCRA. My wife is concerned about potential contamination of our 800 foot deep well. Who will oversee the safe drilling of the well which assures no spilling effects to the water at that level? The industry is largely self regulated. How do I know if the drilling company will not drill under our property if we are not put in forced pooling? HERE You can see an annotated video of a fracking operation near where I used to live in Wise County, Texas. What chemicals are used in fracking fluid? Do airborne toxins from natural gas drilling cause illness? They are drilling close to water well, how can I be sure my 850 foot water well won’t get contaminated? I’ve heard horizontal drilling is a new technology? Is this true? 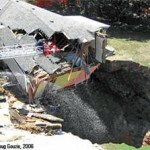 Does natural gas drilling and fracking cause sinkholes? How do I know if they are drilling under my property? How do I know the drilling companies aren’t cheating me out of my money on the lease I signed? I can almost guarantee you they are. You can have your check stubs audited. If natural gas drilling and fracking is so unsafe why doesn’t the government declare a moratorium until the rules are changed? Where can I move that isn’t on a shale? They are drilling by me and my kid is sick, could the two be related?